29 Jesus departed from there, and came near to the sea of Galilee; and he went up into the mountain, and sat there. 30 Great multitudes1 came to him, having with them the lame, blind, mute, maimed, and many others, and they put them down at his feet. He healed them, 31 so that the multitude wondered when they saw the mute speaking, the injured healed, the lame walking, and the blind seeing—and they glorified the God of Israel. 31 Again he departed from the borders of Tyre and Sidon,2 and came to the sea of Galilee, through the middle of the region of Decapolis. 32 Jesus summoned his disciples and said, “I have compassion on the multitude, because they continue with me now three days and have nothing to eat. I don’t want to send them away fasting, or they might faint on the way.” 33 The disciples said to him, “Where should we get so many loaves in a deserted place as to satisfy so great a multitude?” 34 Jesus said to them, “How many loaves do you have?” They said, “Seven, and a few small fish.” 35 He commanded the multitude to sit down on the ground; 36 and he took the seven loaves and the fish. He gave thanks and broke them, and gave to the disciples, and the disciples to the multitudes. 37 They all ate, and were filled. They took up seven baskets full of the broken pieces that were left over. 38 Those who ate were four thousand men, in addition to women and children. 1 In those days, when there was a very great multitude, and they had nothing to eat, Jesus called his disciples to himself, and said to them, 2 “I have compassion on the multitude, because they have stayed with me now three days, and have nothing to eat. 3 If I send them away fasting to their home, they will faint on the way, for some of them have come a long way.” 4 His disciples answered him, “From where could one satisfy these people with bread here in a deserted place?” 5 He asked them, “How many loaves do you have?” They said, “Seven.” 6 He commanded the multitude to sit down on the ground, and he took the seven loaves. Having given thanks, he broke them, and gave them to his disciples to serve, and they served the multitude. 7 They had a few small fish. Having blessed them, he said to serve these also. 8 They ate, and were filled. They took up seven baskets of broken pieces that were left over. 9a Those who had eaten were about four thousand. What is the reputation, demographics, and ethos of region you live? This is in present day Lebanon. 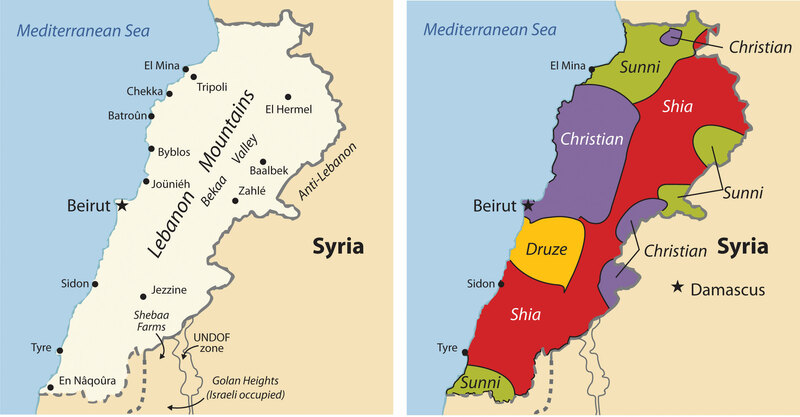 the Sidon District is still seen on maps (see: Harmony Bible Map). In some, this particular district is now marked as predominately Shia.